Google Maps may be the torchbearer for navigation on Android, but there are plenty of other GPS navigation apps that won’t disappoint. However, even the best navigation apps are useless if the GPS feature of your Android device is not accurate. While Android 6.0 Marshmallow brings a lot to the table, a notable feature is the ability to improve GPS accuracy on Android. 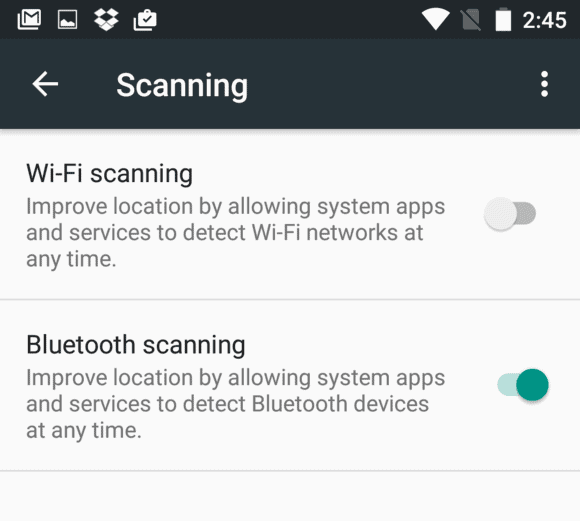 It would be unfair to say that the “Bluetooth scanning” feature of Marshmallow makes Android’s GPS 100% accurate. However, in combination with Wi-Fi scanning to triangulate your location with nearby networks, using Bluetooth to improve GPS accuracy on Android Marshmallow is effective. Note: Both Wi-Fi scanning and Bluetooth scanning methods for improving GPS accuracy come at the cost of battery life. While these features will help you accurately pinpoint your location on the map, it does affect the overall battery span of the device. Go to the Settings app on your Android device from the app drawer, or tap on the gear shaped icon in the notification drawer. Scroll down to find the “Location” tab, open it and then press the three-dot menu button on the top-right corner of the screen. In the pop-up menu, tap on “Scanning” and press the toggle switch next to “Bluetooth scanning” to activate it. Your Android device and installed apps can now use Bluetooth devices around it to triangulate the current location of the device. Now that you can use Bluetooth to improve GPS accuracy on Android Marshmallow, make sure that the device is able to use it. 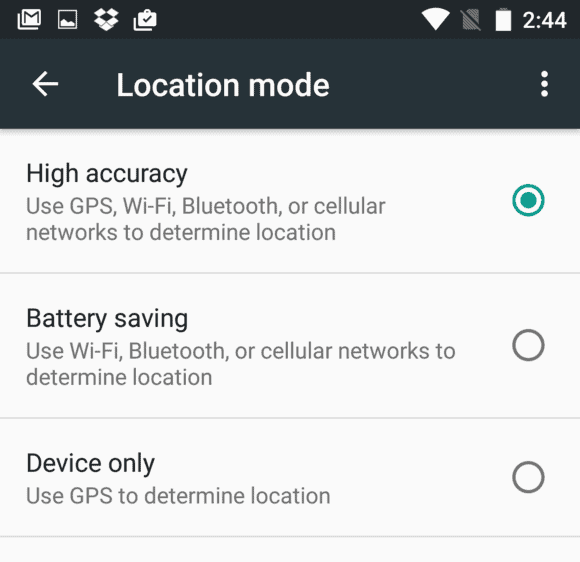 In order to make use Bluetooth accuracy, you have to select “High accuracy” location mode on your Android device. Once again, go to the Settings app on your Android phone or tablet and scroll down to find the “Location” tab. In Location Settings, tap on “Mode” and then from the three options, press the button next to “High accuracy” to activate it. This method will enable your device to use Wi-Fi, Bluetooth, and a cellular network to pinpoint your location on the map as accurately as possible. Did you find Bluetooth accuracy to be a game-changing feature in Android Marshmallow, or is it just a battery eating feature in your opinion? Let us know what you think about this feature in the comments section below.